If you want to get your comic turned into a television series, you might just want to get Greg Berlanti involved. He already has Arrow and The Flash on the air and Supergirl on the way… well now he’s going to bring Archie, Betty, Veronica and Jughead to Fox with Riverdale. Warner Bros TV and Berlanti Productions just made the script deal plus penalty for a script written by Archie Comics Chief Creative Officer Roberto Aguirre-Sacasa. 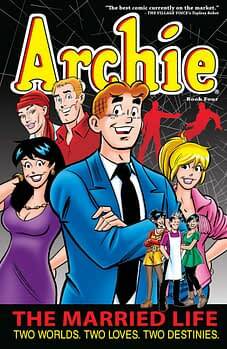 Named Riverdale after the town where Archie Andrews has his love triangle with Betty Cooper and Veronica Lodge, the series will include the entire cast of characters. Word is Reggie Mantle, Jughead Jones and popular gay character Kevin Keller will all appear along with other characters from the Archie Comics library including Jose and the Pussycats. Set in the present, the series is said to offer a bold, subversive take on Archie and his friends, exploring the surreality of small-town life — the darkness and weirdness bubbling beneath Riverdale’s wholesome façade.